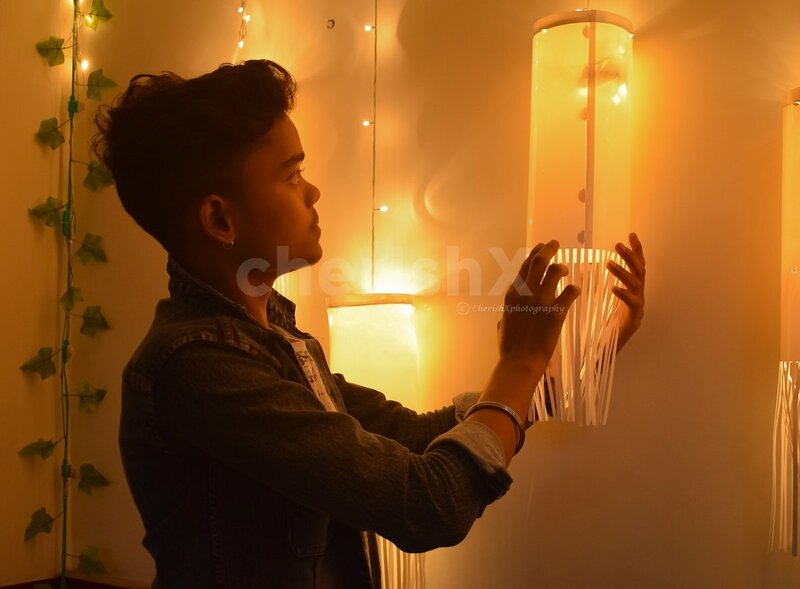 Any celebration requires lighting and whats more to celebrate the occasion than with lights and lanterns. 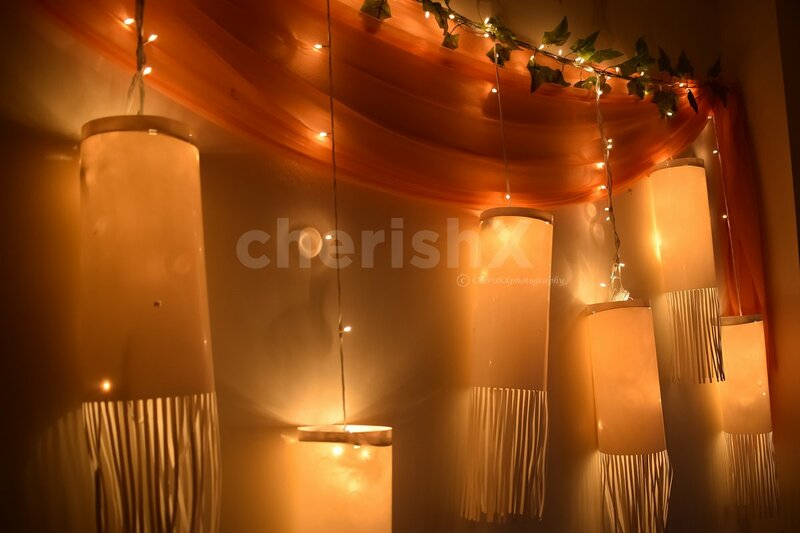 Watch your partner go awww when they walk into a room full of beautiful lanterns (in one of most romantic colors of all time), You can have this incredible setup at home and surprise your partner on your special occasion. The planning of this surprise is not at all tedious. 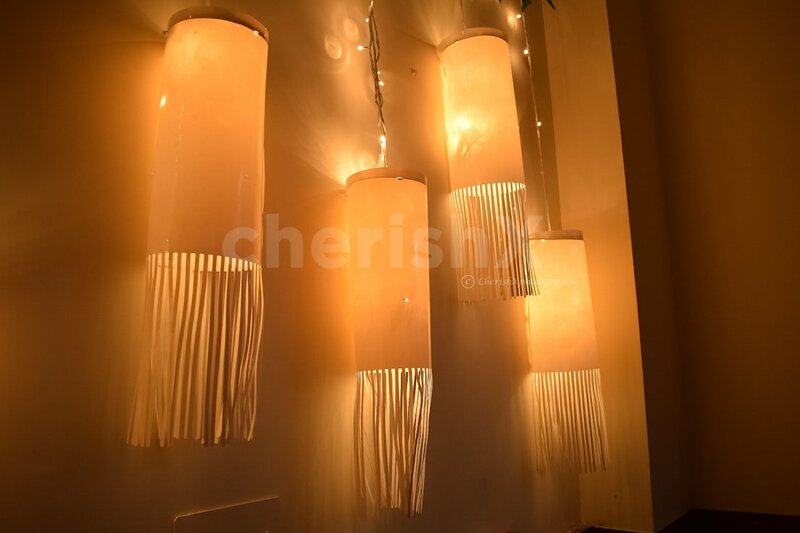 Let cherishx decorate your house to surprise your partner. 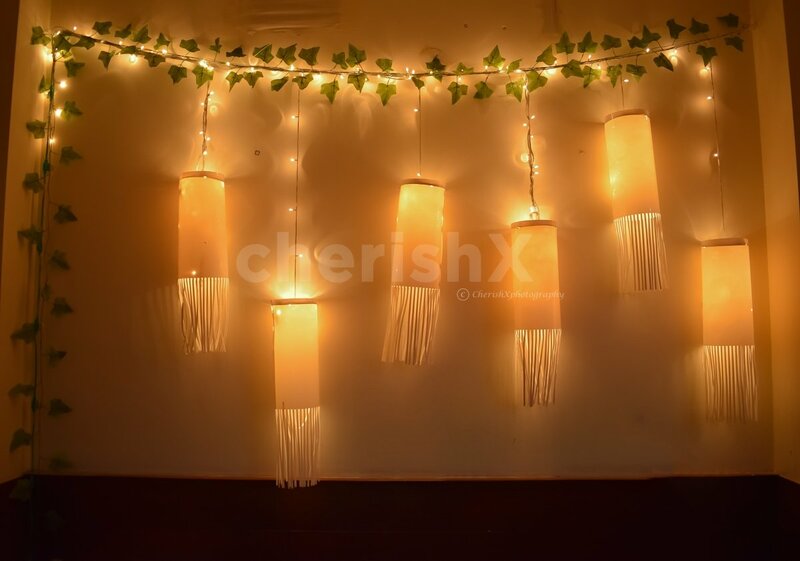 This decorations includes six plastic lanters, six fairy lights, artificial leaf vines. Windows and doors have always been the highlights of any festive decoration. 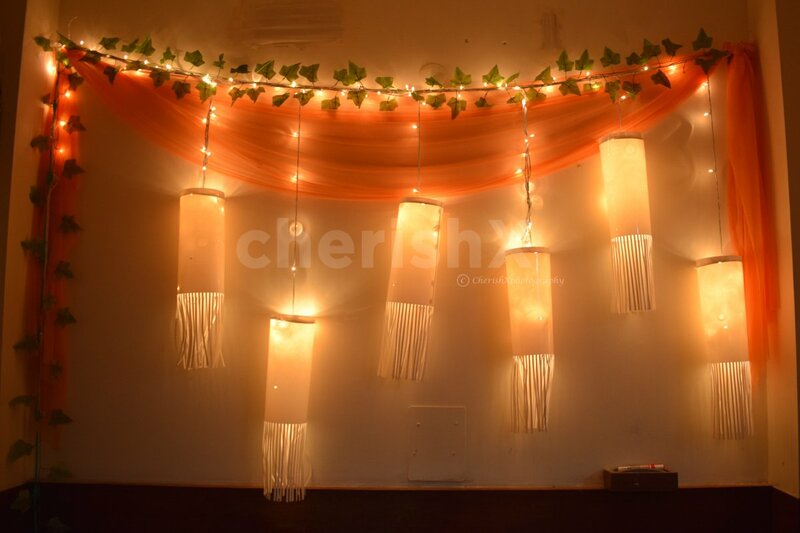 Add net curtains, artificial flower vines, cake, balloon decorations to add to the surprise quotient. 3 different Sizes of Hula Hoops Covered With Artificial Flowers to add color to your Diwali Decoration.